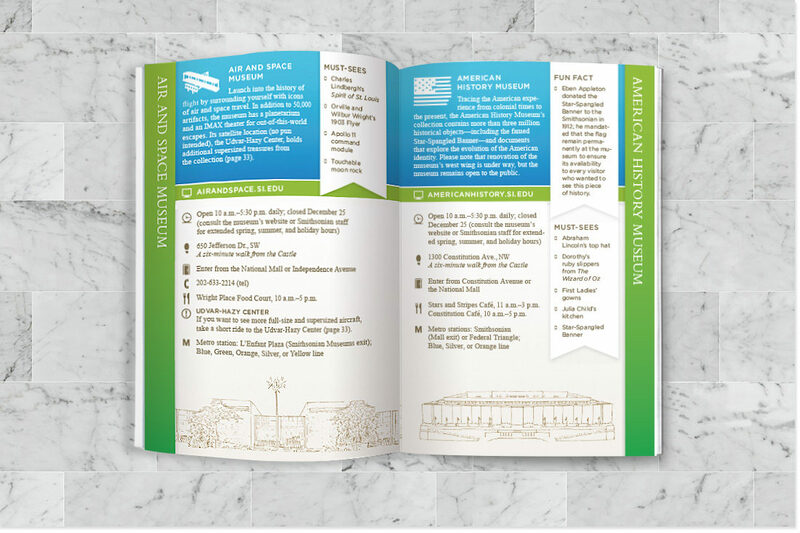 The Smithsonian Institution, established in 1846, is a group of museums and research centers administered by the government of the United States. 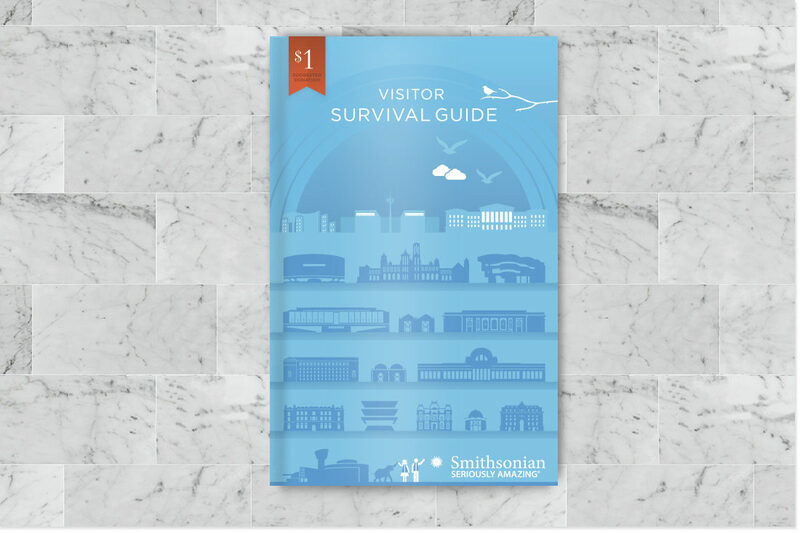 Percolate collaborated with the Smithsonian to create the Visitor Survival Guide, a user-friendly 36-page guide designed to quickly orient the Smithsonian visitor to the diverse collection of Smithsonian destinations. 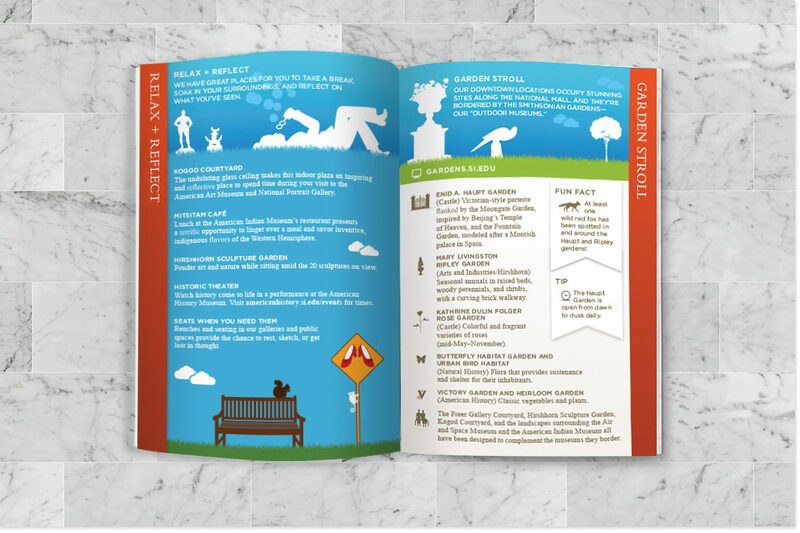 The Smithsonian was looking to project a warmer, more inclusive, and playful experience. 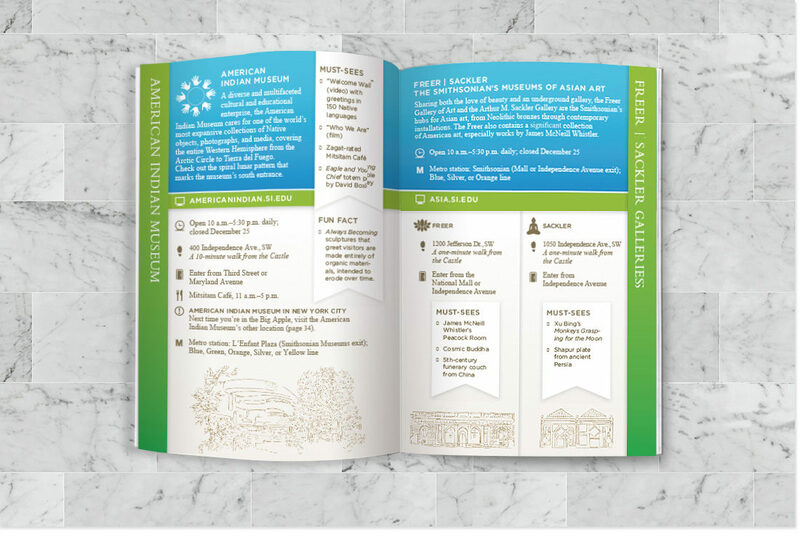 The guide included over 100 original illustrations and icons that were also used as part of the Smithsonian’s wayfinding system in the Visitor Center and throughout the National Mall.